All RANCHO DEL MONTE UNIT 2 homes currently listed for sale in Phoenix as of 04/20/2019 are shown below. You can change the search criteria at any time by pressing the 'Change Search' button below. "Huge $55k price reduction!! Highest quality and best price per sq ft on the street! Gorgeous Brand New 2-Story in the heart of an established Arcadia neighborhood surrounded by new builds! Beautiful Brazilian dolomite counter-tops, white shaker cabinets and gorgeous dark oak floors. The chef's kitchen features a Bertazzoni 36 inch pro-style range, auto-drawer microwave, wine fridge & a professional series Frigidaire fridge/ freezer combo. 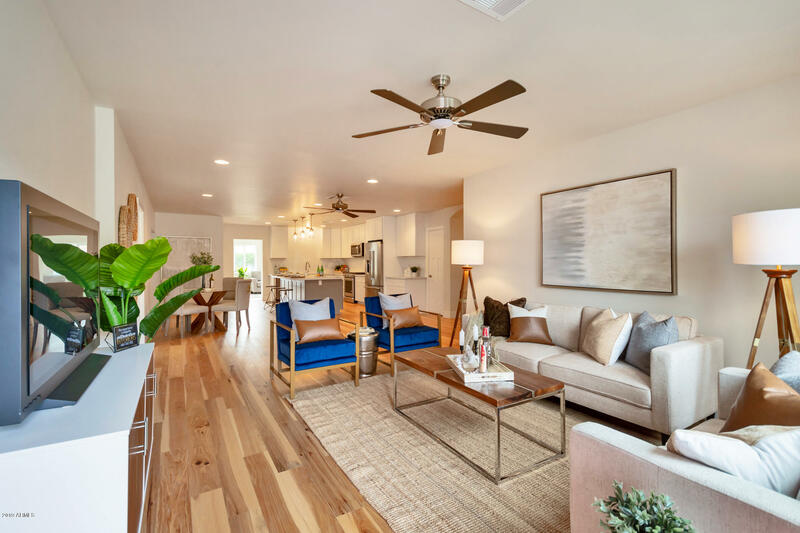 The 2 spacious living rooms make it perfect for entertain"
"Modern Day Farmhouse where Modern Luxury City living meets Vintage Farmhouse Comfort. 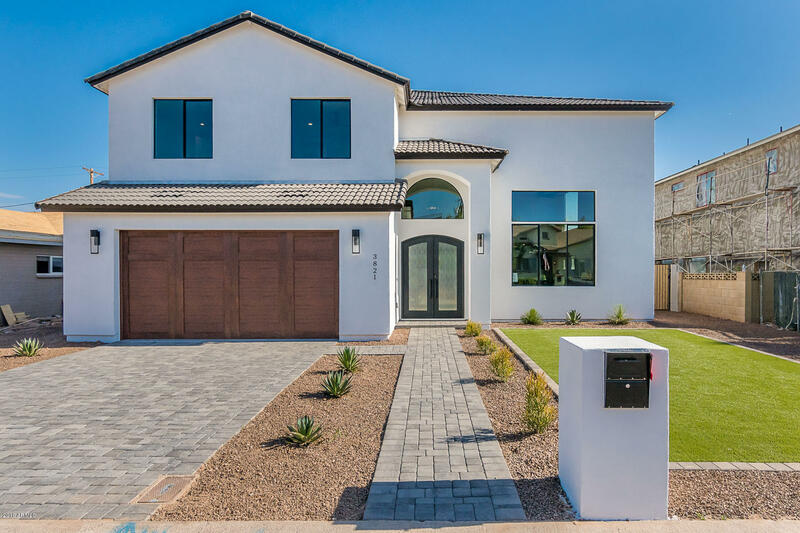 No detail spared in this ICONIC NEWBUILD, from fixtures to finishes this home has every high end feature you could imagine w/the bonus of minutes from Camelback Mountain, an unbeatable location. Vaulted ceilings accented w/wood flooring throughout, Real bricked custom Kitchen back splash w/ oversized windows and doors illuminate the home with natural light. Open floor plan featuring Split Double master suites i"
"***Huge $85,000 Price Reduction - This phenomenal new build will not last long***. Welcome to this absolutely breathtaking 2018 new build brought to you by Barkan Construction Group, Coco&Co Design and The Glimcher Team. From the moment you pull into the driveway, you will be mesmerized by the incredible finishes throughout this charming Arcadia Lite home. 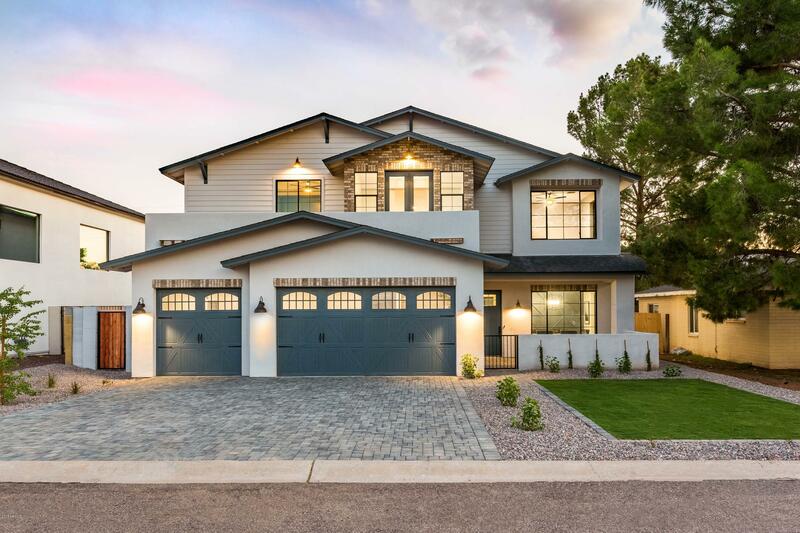 Boasting 4 bedrooms plus office/den and large loft space, 3.5 bathrooms, 3 car garage and an amazing patio with unbelievable Camelback Mounta"
"Super charming Lower Arcadia remodel/new construction on hot Devonshire Ave, where prices approach $1.2MM. Light, bright & open floorplan features split master & ensuite/2nd master setup. Wide-plank oak floors stretch throughout the house. Two-tone shaker kitchen cabinetry finished off with quartz counters, full KitchenAid appliance package, wine fridge, pendent lighting & bar seating. Large entertaining space, private bedrooms. New master suite is spacious with large shower, soaking tub, huge W"